“Bring your rain boots to Malibu,” said no one ever. As a native Washingtonian, I own a pair of bright yellow rain boots perfect for splashing in all of the puddles that accumulate on the side of the road or for trekking through grass and mud. They’re perfect in the Seattle weather and are an essential part of my wardrobe. But here? Pepperdine forgot to add rain boots to the packing list for move-in day. Malibu is not designed for rain and Pepperdine is the perfect example of that. Puddles grow on the road, the sidewalks, the stairs and even the middle of Mullin Town Square, and it feels like the designers of Pepp never stopped to consider that campus might get wet every once in a while. Seaver Drive turns into a waterfall as water races down the hill in search of a storm drain, collecting at the crosswalk by the HAWC. The other day, I watched as a groundskeeper used tubes to drain water that had collected on Lower Dorm Road into an improperly located storm drain. I have neglected to prep for Pepp puddles and find myself drenching my sneakers on the daily while navigating a soaked campus. So the next time you’re packing for school, don’t forget your beach towel or bikini, but throw in some wool socks, a windbreaker and an umbrella. 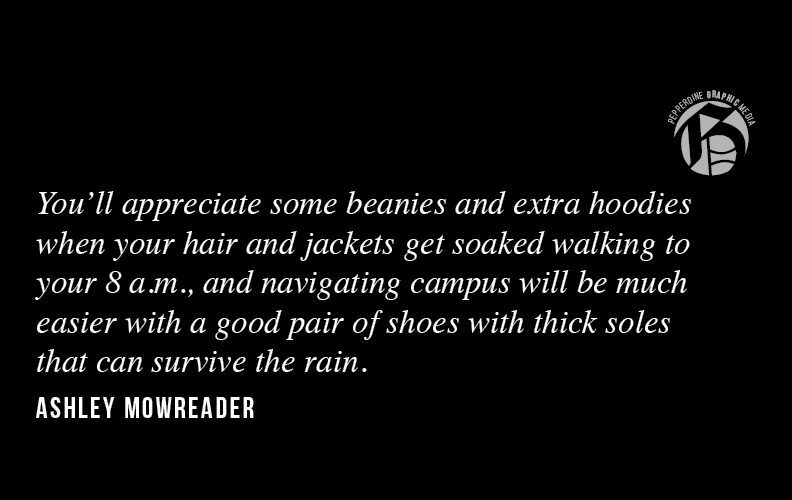 You’ll appreciate some beanies and extra hoodies when your hair and jackets get soaked walking to your 8 a.m., and navigating campus will be much easier with a good pair of shoes with thick soles that can survive the rain. 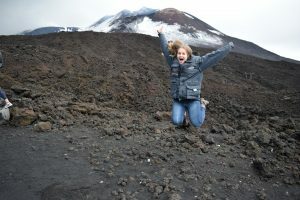 It may seem illogical to bring your rain boots to the ‘Bu, but pack them anyways. You’ll thank me later.